If you’re currently planning a summer wedding, the stress of getting every last detail right before your impending nuptials might be setting in. Take a break from caterers and dress fittings to plan your summer honeymoon in Alaska! There is sure to be an outing for every type of couple to enjoy, whether you’re looking for a quiet cabin in the mountains or the thrill of adventure; here’s where to start looking. 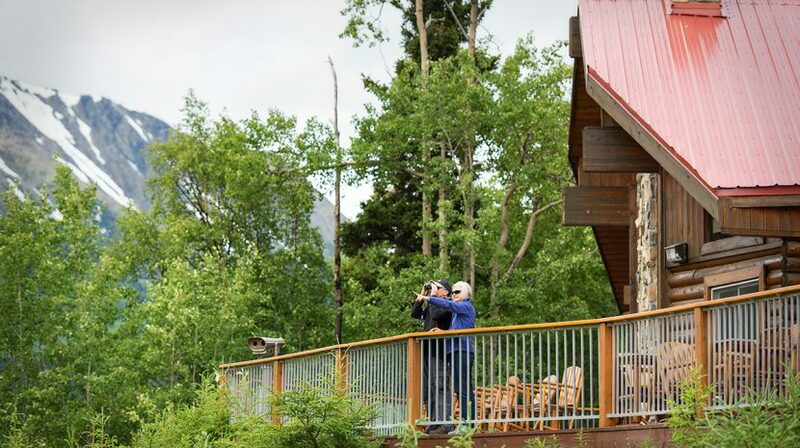 If your ideal honeymoon includes amazing scenery and fabulous dining, stay at a Princess Lodge, located at some of Alaska’s top destinations from the Kenai River to Denali National Park. You can also choose one of the many tours offered or simply kick back and relax in the mountains with your honey. Non-traditionalists are always daring to do something different and that includes looking for truly unique honeymoons. If that sounds like you, skip the spa for gold panning with Prospector John or fill your freezer with fish to last until your first anniversary. Not many newlyweds get to eat Alaska salmon on a weekly basis. Get even crazier by planning a glacier landing by helicopter or a covered wagon adventure with backcountry dining. Alaska is full of all things wild and wonderful, you can fill a whole itinerary with unique excursions. If nothing has struck your fancy yet, you must be a real thrill-seeker. Never fear, there are plenty of excursions that will get your heart racing and your adrenaline pumping. From whitewater rafting to off-roading on a two-seat ATV, you’ll have plenty of opportunity to hold tight to your new spouse as you take in the sights.